One of my favorite quick food stops, that fits into my “cleaner” eating, calorie counting lifestyle, is the shredded chicken salad from Cafe Rio. If you have never been to Cafe Rio, their handmade tortillas are AMAZING. I am willing to eat only lettuce and dry chicken if it means I can eat that tortilla. Which is 420 calories on it’s own…yikes! Heat the olive oil over medium high heat and brown tortilla on both sides until a very light brown color. Once tortilla has been browned, place it in a bowl and push down until the tortilla lines the inside of the bowl. 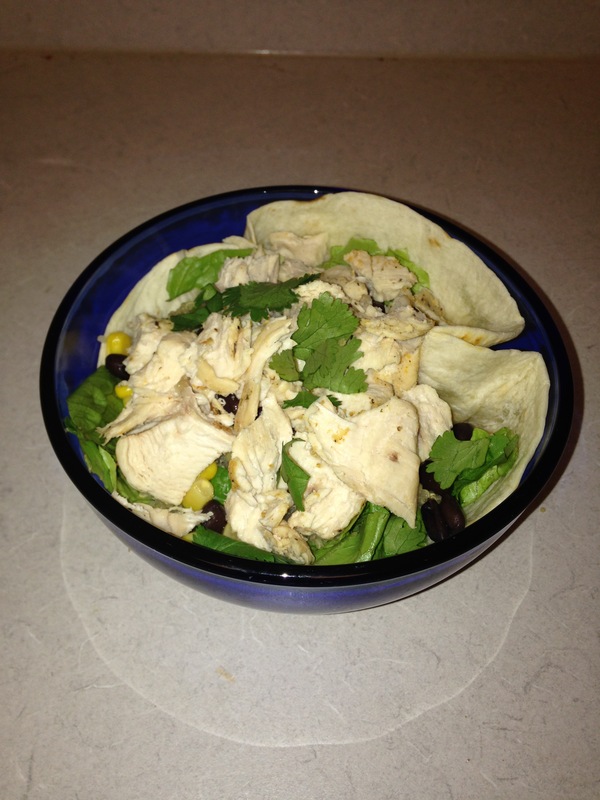 Take washed lettuce and spinach, place in bowl (on top of tortilla). Add shredded chicken, quinoa, black beans, and corn (you can combine these ingredients together in a separate bowl before adding to salad if you would prefer). 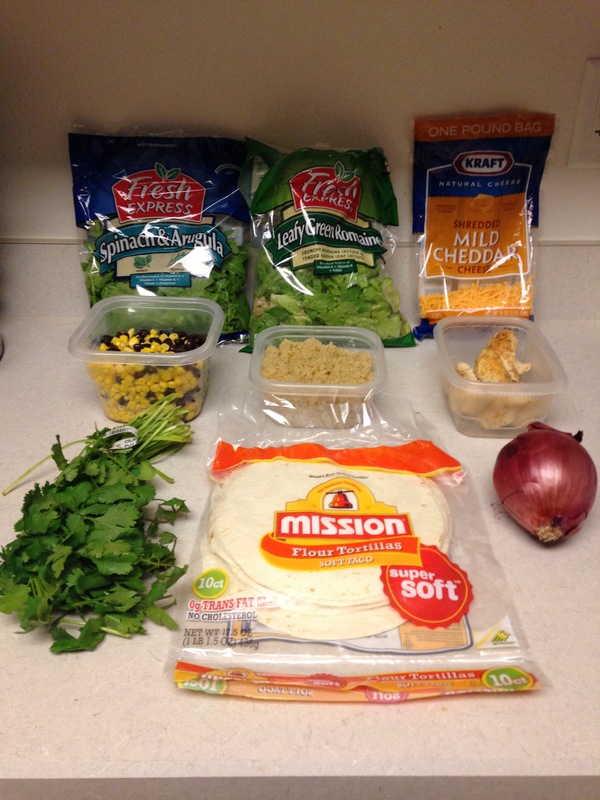 Then top the entire salad with the chopped red onion, cilantro, and cheddar cheese. Now it’s TIME TO EAT! * I had half a serving of cilantro lime vinaigrette dressing leftover in my fridge from a Cafe Rio visit earlier in the week, and used the remainder for this salad. However, for future use, you (as well as myself) can find homemade dressing recipes online. I usually use Pinterest when looking for yummy recipes such as dressings. Or you can just make up your own healthier dressing using some olive oil, lemon or lime, and salt and/or pepper.